Recently, many observers have been drawing parallels between China today and Japan in the late 1980s – just before its “lost decade”, where the country experienced 10 years of secular stagnation. Indeed, the macroeconomic commonalities seem too great to be ignored: both had high saving and investment rates, along with a rapid accumulation of external wealth that funded purchases of prime assets around the world. “Bridges leading to nowhere” is often used to describe both countries’ investment bonanzas. Just like Japan all those decades ago, the Chinese economy today is experiencing real estate and stock market bubbles, rising debt, heightened default risks and un-ending lending to zombie companies. At a recent high-level policy conference, a famous Japanese economist remarked that all the discussions about China today reminded him exactly of the same discussions once held about Japan. Is there any resemblance between China today and Japan then? Japan’s case is fascinating, because its growth was nothing short of a miracle. In 1980, Japanese per capita GDP was 30% below that of the US. Ten years later, the gap was only 17%. Japan as Number One , a book by Ezra Vogel, captured much of the spirit of the time. 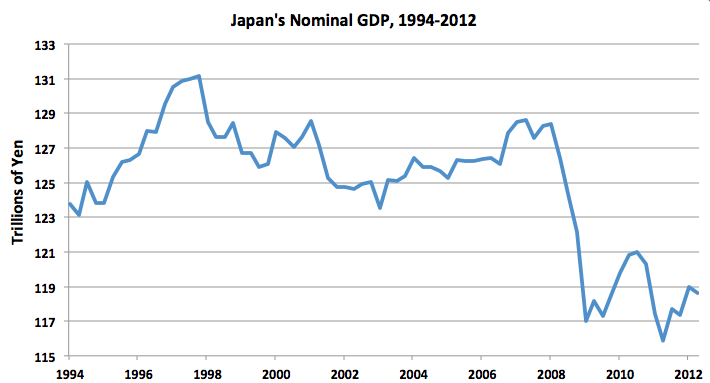 But between 1991 and 2003, Japan stagnated, and growth virtually stopped. The term “lost decade” was coined to describe the economic slump, where GDP grew at a mere 0.7% per year (compared to 4.6% in the previous four decades). What appeared at first to be a normal recession became a sustained, structural slump. By 2002, Japan’s GDP per capita gap with the US was even greater than it had been in 1980. Many fear that the same fate is befalling China, and that this could even spill over to the rest of the world. Of course, macroeconomic indicators are important, but quite often they hide the differences among various economies. Before examining whether the parallels are warranted, one must first turn to the question of what exactly went wrong for Japan during its lost decade. Common explanations point to either demographics or the lack of immediacy and aggressiveness in macroeconomic policy responses. Others argue that financially constrained firms were no longer able to make the investments they needed to grow. Problems in the financial system and policy responses did not cause the stagnation – they merely prolonged and exacerbated it. Indeed, a careful look at the data reveals that it was productivity growth that stagnated, and this appears to have been one of the main reasons for the overall economic slowdown. A decade earlier, between 1983 and 1991, total factor productivity grew at an average rate of 2.4% a year. In the lost decade, it grew on average just 0.2% a year. In a rich country like Japan, productivity growth is primarily derived from innovation and the adoption of new technologies. In the 1990s, Japan’s R&D growth slowed down. Technological adoption was also slower than in other advanced economies – for instance, the diffusion of computers was faster in both the US and South Korea. So where does China come into all this? While people like to draw the parallel between China today and Japan a few decades ago, the analogy is inaccurate first and foremost because they are/were in very different stages of development. Even before WWII, Japan was already an advanced economy, and had high labour productivity and solid institutions. That war destroyed capital stock, and so the post-war decades were in part a rapid rebuilding of capital – a process that is swifter and easier than developing an economic base from scratch. On top of that, we should recognize that China still has plenty of room for further productivity growth – which, as we’ve seen, was not at all the experience of Japan. China’s productivity growth – which has been an important economic driving force for the past 30 years – is primarily a result of two large structural transformations, and not innovation and technological adoption. Indeed, developing countries like China have grossly misallocated resources, and simply reducing the distortions and moving capital and labour from low-productivity areas to high-productivity ones could result in significant productivity gains. China has already managed to do something similar when it moved workers from the low-productivity agriculture sectors and state-owned companies into higher productivity manufacturing sectors and private firms. The efficiency gains were tremendous. If it were to continue to do the same – and also focus on reallocating capital and investment – this could bring about significant productivity gains. In other words, China is still far from its own efficiency frontier – not to mention the world’s productivity frontier. As well as drawing comparisons between the two countries in terms of economic fundamentals, some have pointed to their demographic similarities. It’s true that both China and Japan have an ageing population. But the nature of that ageing is very different – in China, it is a man-made phenomenon, thanks to the one-child policy. The stage of each country’s demographic transition is also vastly different. 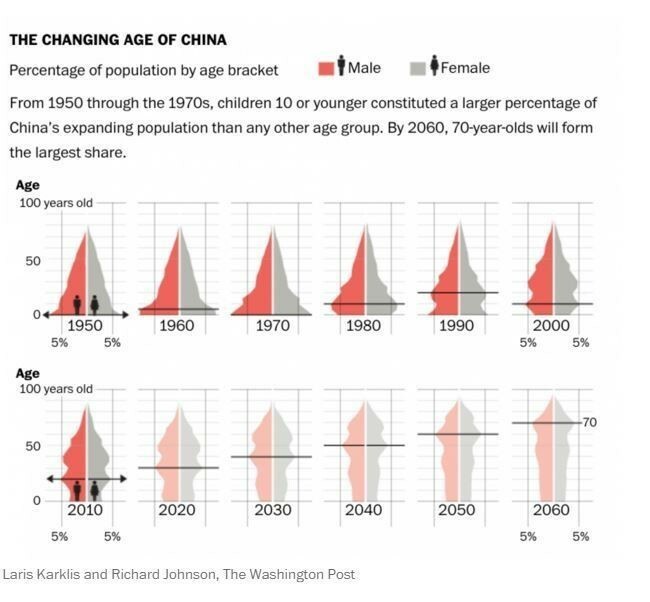 It won’t be until 2050 before the over-65s will make up a quarter of China’s population. More importantly, though, while China’s labour force will shrink due to demographics, labour productivity is still growing at a rapid pace. Its human capital accumulation is rapidly accelerating, and converging to advanced economies. In the end, it is efficiency units of labour that matters, rather than total labour force. Currently, China is facing depreciation pressures, which set off a near-panic and led to many investors taking capital out of the country. While the world is concerned about a sharp depreciation of the RMB, we are reminded of the consequences of the Plaza Acord in 1985, when the Japanese yen appreciated by 40% following a concerted effort on behalf of major industrial countries to depreciate the dollar. The consequence was two distinct periods of recession in the 1980s and early 1990s. In this sense, an appreciation-triggered crisis and its prolonged aftermath in the case of Japan will be unlikely to take place in China, at least in the near term. True, its mismanagement of exchange rates perturbed financial markets and threatened a major capital outflow and reserve drainage. But once the short-term panic is brought under control, the long-term consequences of depreciation tendencies should be far better than the aftermath of a sharp appreciation. Apart from exchange rate trends, another crucial difference is inflation rates. One of the main causes of the rising debt burden and financial stress on corporations in Japan was deflation. The country was cast into a debt-deflation spiral and a prolonged liquidity trap. China, however, is at no risk of either deflation or liquidity problems. If anything, it has to fight growing inflation and mounting inflation expectations. There are important differences between Japan in the 1980s and China today, both in terms of economic fundamentals, stages of development, and macroeconomic policies. That’s not to say China doesn’t have its fair share of challenges – including misallocated bank credit and sustained lending to zombie companies, mistakes once made by Japan. Such risks are not to be cast aside, even if growth prospects and development paths are somewhat different. Drawing the analogy between the two economies is tempting, but does not necessarily hold up to closer scrutiny. I wouldn’t bet on a “China as number 1” just yet, but it is not about to enter a lost decade either.